Iaşi is located in the historical Moldavia region, and traditionally it has been one of the leading centers of Romanian economic, social, cultural, academic and artistic life. 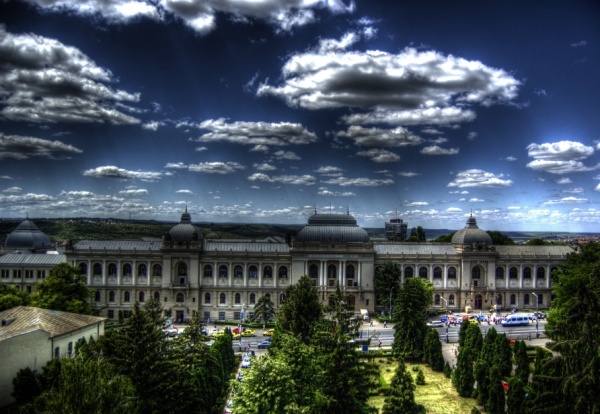 It is the second largest city in Romania after the capital, Bucharest. The latest census showed that Iaşi has about 320 000 residents, and because the city is also a large university center, the real number of residents can be somewhere around 400 000 people. With its 5 public and 7 private universities, Iaşi is the second largest university center in the country, accomodating over 75,000 students. The pride of the locals is the Gheorghe Asachi Technical University of Iaşi, the first engineering school in Romania, currently ranked second among the technical universities. The university is the fifth largest in Romania, in the national research ranking based of Shanghai criteria. The university has accept 1,000 bachelor students every year for the full time courses in IT field. Today the university has 11 faculties and 3 departments, and graduates of the Faculty of Automatic Control and Computer Engineering, Faculty of Electronics, Telecommunications and Information Technology, Regional Center for Training in Public and Private Business Administration (CRIAP 2) can be particularly interesting for IT multinationals looking for local workforce. Iaşi is an important regional traffic hub. The city has three train stations and Iași International Airport (IAS) located 8 km east of the city center. The airport has non-stop flights to Bucharest, Timișoara, Rome and Vienna. The city is connected with Bucharest through a four-lane motorway, and soon there will be an East-West freeway connection to the Romanian Motorway A3 (known as “Transylvania Motorway”). Over the last years, many multinational companies with headquarters in Bucharest opened their local branches in Iaşi. One of the most important employer in the city is Delphi Diesel Systems, a global supplier of mobile electronics and transportation systems. As for the salaries in Iaşi, an entry level programmer earns a net salary of about 500 euro ($715), while a senior developer’s salary can reach about 1400 euro ($2000).